The Law Office of Donald D. Vanarelli provides elder mediation services, a specialized form of mediation to help elders, the disabled and their families resolve conflict. Aging is always a time of transition. With Americans living increasingly long lives, coping with this transition is an issue faced by a growing number of elders and their loved ones. How we deal with these transitions can have a lasting effect on our well-being and the well-being of family members and loved ones. Elder law disputes often possess traits that may make elder mediation a particularly attractive option for elders, the disabled and their loved ones. For example, elder disputes routinely involve members of an immediate or extended family, who wish to maintain a long-term relationship and who recognize that litigation often leads to the destruction of close family relationships. These family members see that the successful resolution of family conflict is much more complex than the “win-lose” result obtained in the litigation process. These elder law disputes often involve issues, emotions, and conflicts that may have been underlying family relationships for many years. The conflict is often “about” much more than the parties may initially understand, involving unspoken and unacknowledged beliefs and deep feelings. By helping members to recognize and acknowledge the complex background in a particular conflict, mediation offers a more creative and comprehensive way of addressing elder issues. Compared to the general field of mediation, elder mediation often centers on an elder or disabled family member, whose opinions may tend to be either disregarded as unrealistic or unreliable, or may be overshadowed by the opinions of well-meaning relatives. However, central to the practice of elder mediation is the recognition that the elder or disabled person, often at the center of the conflict, is the most important participant: his or her voice must be heard, and respected, if the conflict is to be resolved. Mediation is often praised as much less expensive and less time-consuming than litigation. In addition, because these disputes often involve very private family issues, mediation offers an alternative to the public disclosure often feared by the parties in litigation. As such, mediation is an attractive option for those who are considering the litigation of elder dispute but are seeking an alternative to a public trial, and to those families immersed in conflict who would never consider litigation but feel that there is no hope of resolution. 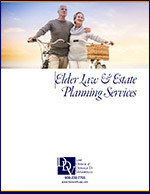 Click here to download the Elder Law & Estate Planning Brochure. Rather than a confrontational process (as in litigation), mediation is a completely voluntary, supportive process in which a neutral third party helps guide the parties in conflict toward an understanding and resolution of their dispute, often leading toward a new way of relating to family members. This neutral third-party, the mediator, does not advocate a certain position or render legal advice. The mediator does not tell one side or another that he or she is right or wrong. Nor does the mediator insist that a resolution “fit” within a particular legal framework. Instead, the mediator spends time with the parties exploring the conflict in issue, in the context of the parties’ relationships, including their needs, goals, fears, ideas, perceptions and values, and helps the parties to explore options to resolve that conflict. Often, the process of mediating a dispute will lead participants to strengthened family relationships. The mediator welcomes the contribution of ideas from all parties, and attempts to build on the positive aspects of the relationships that the parties have established over the years. The goal of elder mediation is to reach resolution of a conflict, while allowing the parties to move forward in relationships that have been not only preserved, but strengthened by the process. As a result, the parties are empowered to deal more effectively with future transition and conflict. Will the elder or disabled person remain at home or move to a child’s home, an assisted living facility or a nursing home? How will the family members divide responsibility for the elder/disabled person’s care needs? Will those family members be reimbursed for their time providing care services and, if so, how? Will the family contribute financially toward the elder/disabled person’s needs and, if so, in what proportions, and will those contributions be equalized at a later date? Is it time to address the elder’s or disabled person’s continued driving? Can the elder/disabled person’s increased needs be addressed through a part-time or full-time home health aide, or other support services at home? Can the family make appropriate arrangements for an ailing parent or disabled family member so that guardianship litigation is avoided? Can the family openly address the elder/disabled person’s present financial condition and potential future needs? Can the parent or disabled family member’s long-term care needs be resolved through the use of estate planning documents? Can the parent review his or her estate plan with the family in order to avoid future estate administration conflicts? 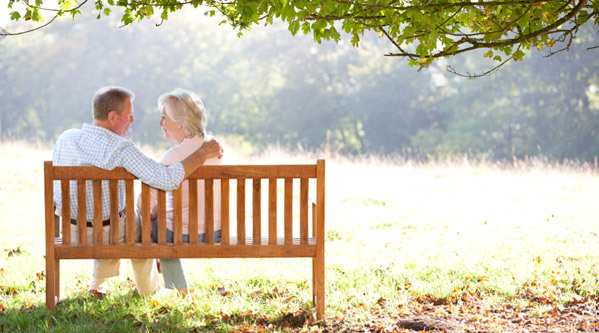 Mr. Vanarelli is co-founder of the Elder Mediation Center of New Jersey, a collaborative venture with other elder law attorneys and geriatric professionals whose mission is to educate professionals and private individuals on the process of Elder Mediation. Vanarelli Is Guest On Internet Radio Show! Donald Vanarelli was recently a guest on “Focus on Seniors”, a new internet radio talk show airing on the WS Radio (WSRadio.com) network. The 60 minute-talk show deals with the caring and health of seniors and features two experts per show in the field of aging. In a 30 minute segment, Mr. Vanarelli was interviewed about the topic of Elder Mediation. “Focus on Seniors” airs every other Tuesday at 5:00PM EST. For additional information regarding Resolving Conflicts Through Elder Mediation, call us at 908-232-7400 or click here to contact us online.